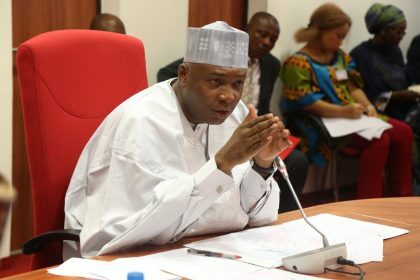 The President of the Senate, Dr Bukola Saraki, says the debate on the 2018 appropriation bill will commence on Wednesday, Nov. 22. Saraki, who made the announcement during plenary on Thursday in Abuja, said the debate would last for two legislative days. He said the debate would be between Wednesday and Thursday and urged his colleagues to indicate interest on when they would want to make their contributions. The president of the Senate said copies of the budget would be made available to the lawmakers before the commencement of the debate. “The clerk of the Senate will make copies of the budget available to you. A register has been opened for you to put your names,” he said. Similarly, the Chairman, Senate Committee on Media and Public Affairs, Sen. Sabi Abdullahi, said the session would involve starting the debate for the second reading of the bill. He noted that the laying of the budget by President Muhammadu Buhari on Nov. 7 was the first reading of the bill.